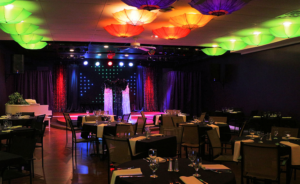 Catered Cabaret Theatre provides theatre experience like no other. As one Old Downtown Greenwood’s top draws, the theater features Broadway musical performances all year round. Additional features include free parking, spacious dining, comfortable seating and delicious, freshly prepared food provided by Grafton Peek Dinner Services – a division of Grafton Peek Catering. Click here to order your tickets for The Catered Cabaret!